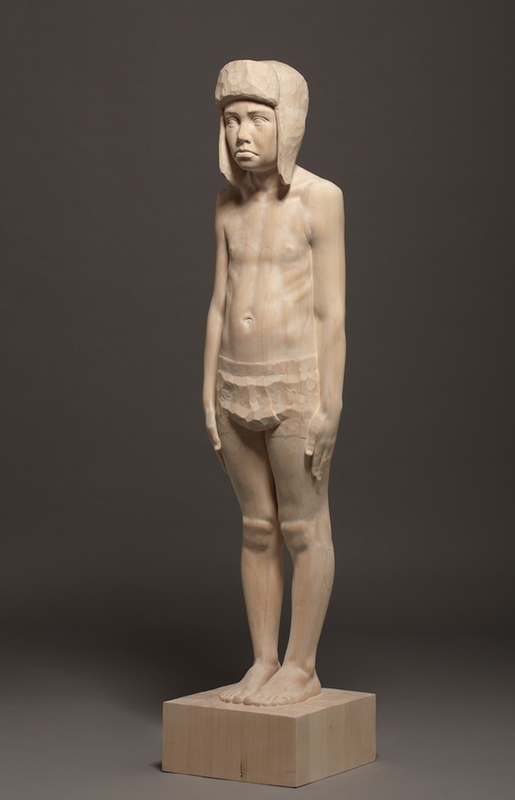 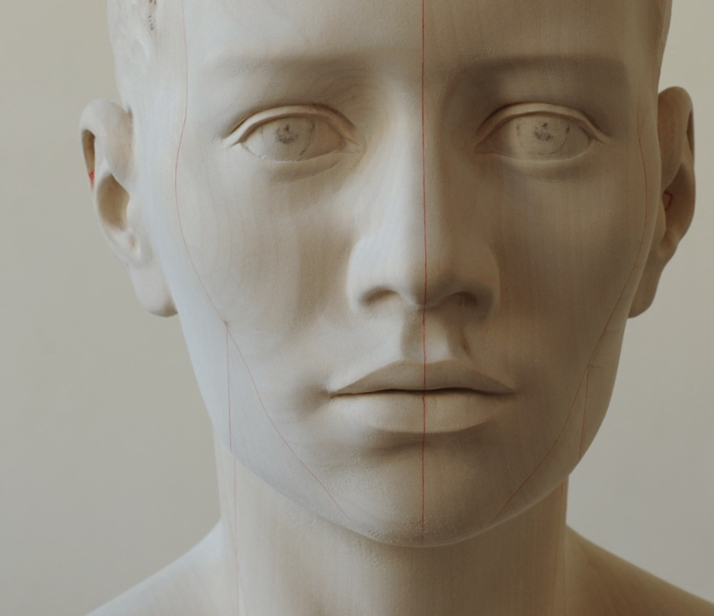 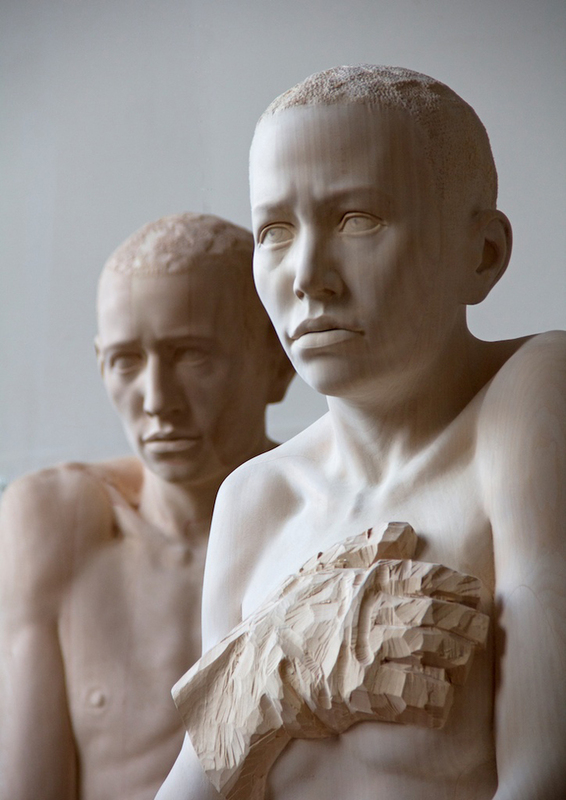 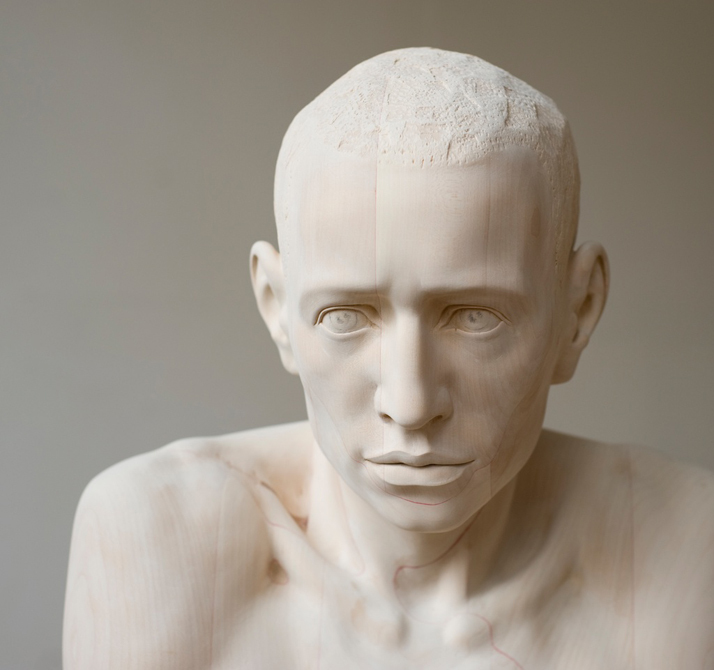 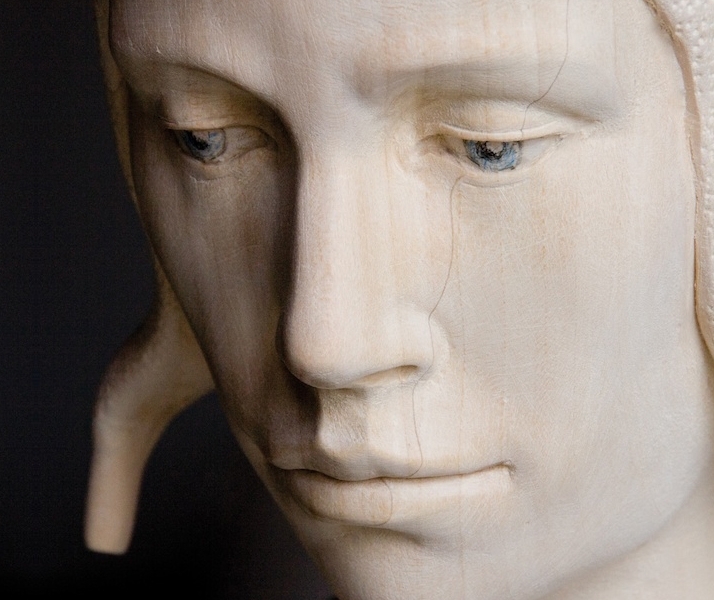 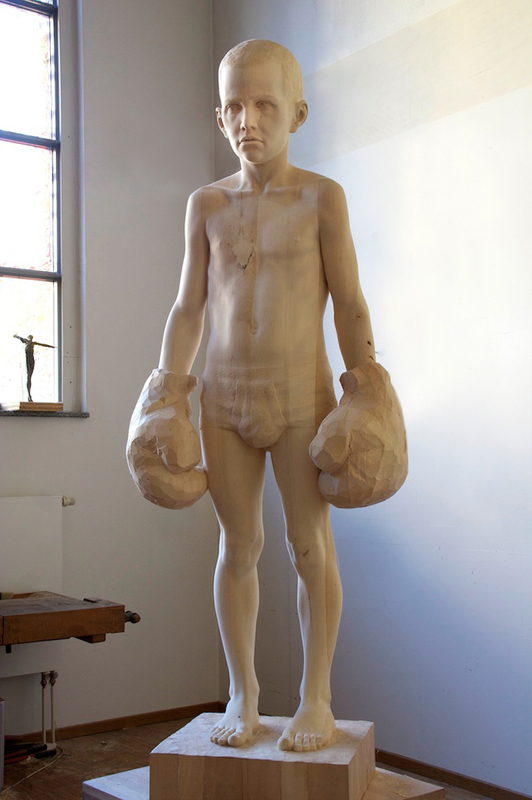 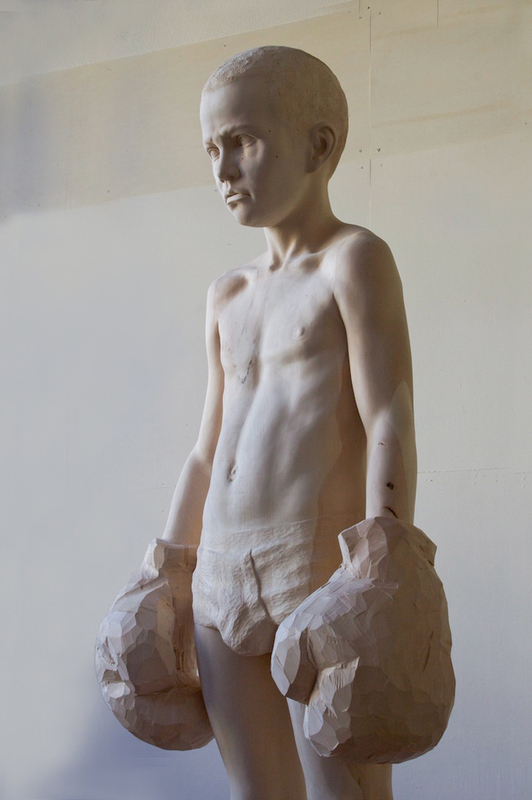 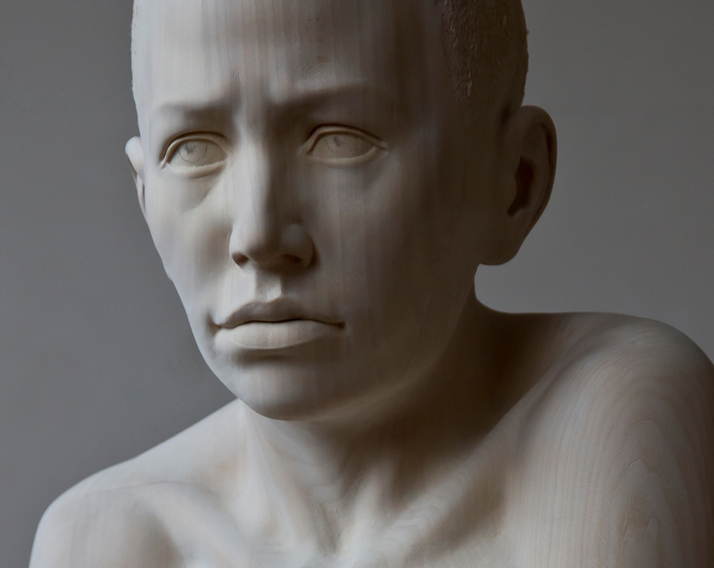 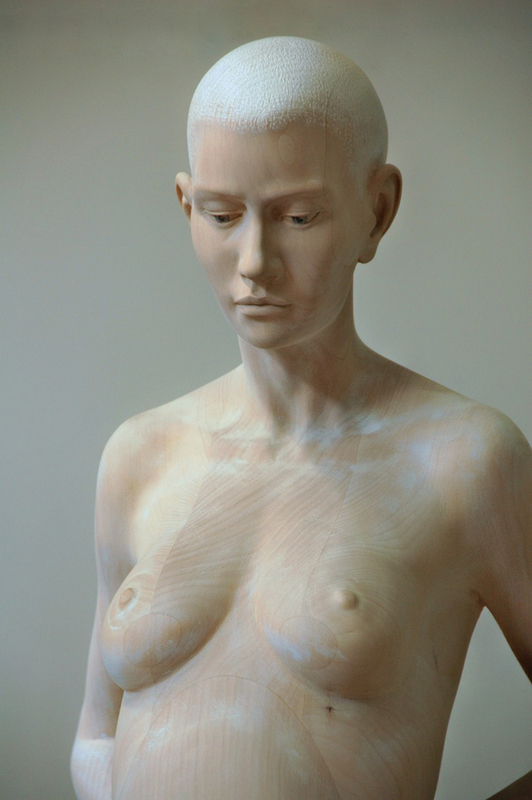 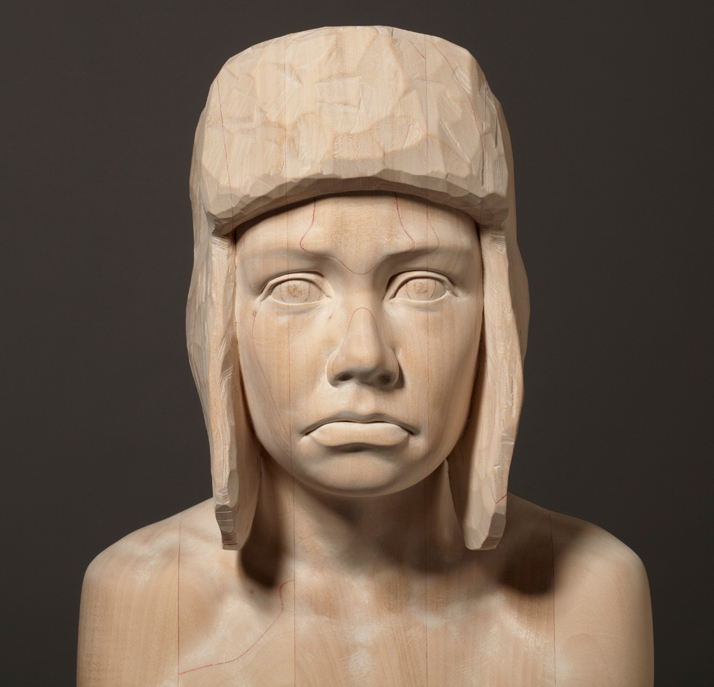 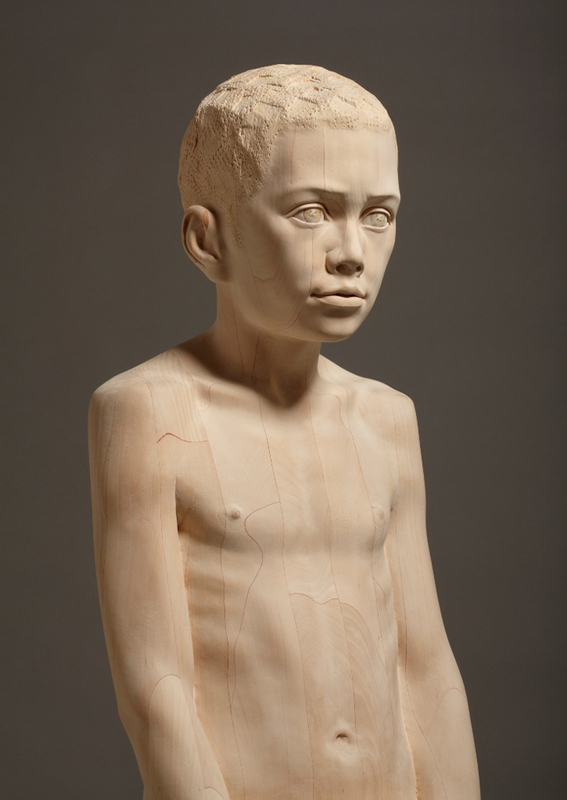 Lifesize wooden sculptures by Germany-based sculptor Mario Dilitz. 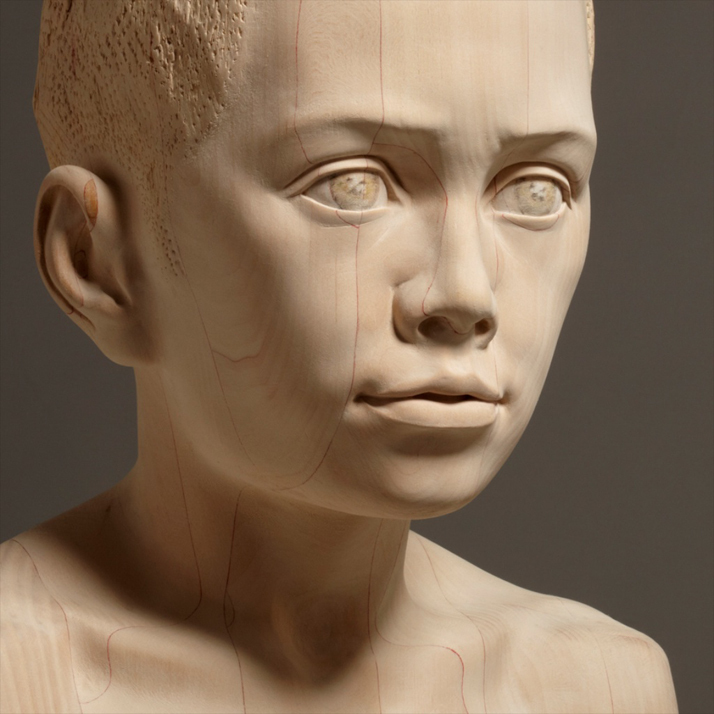 On the one hand Mario Dilitz manifests the contradictions occuring in human nature, on the other hand he knows to unite them in his work. 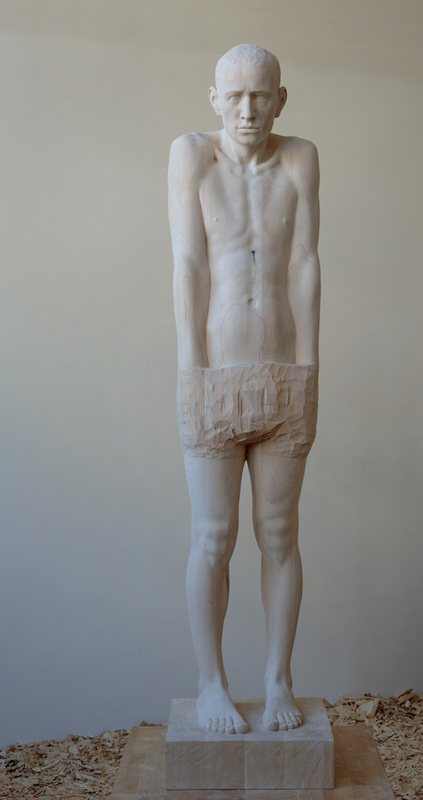 Even his choice of material reveals these contradictions. 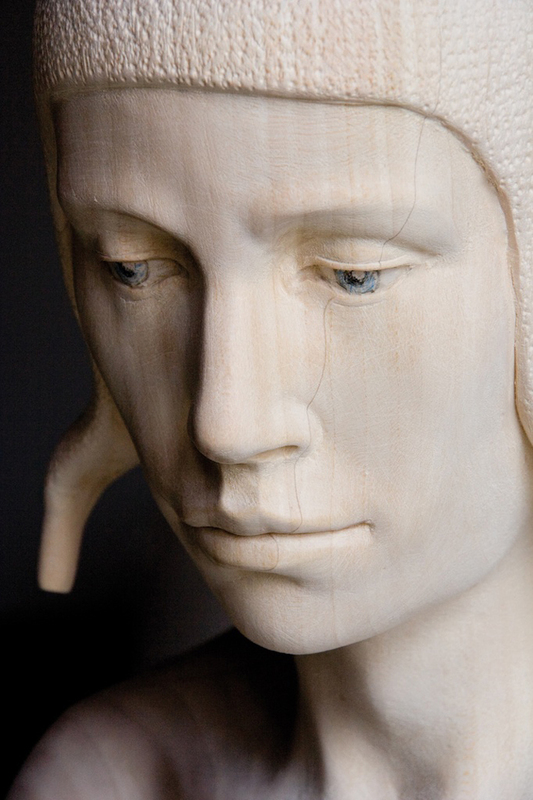 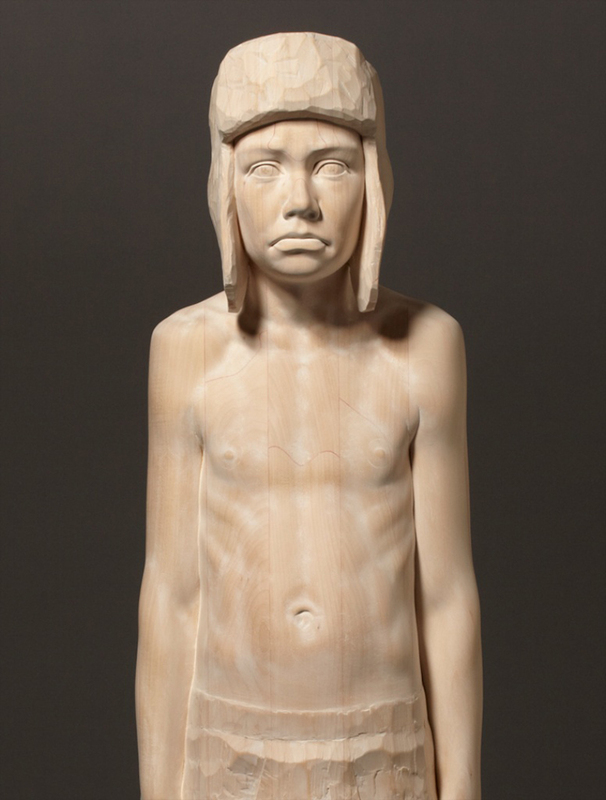 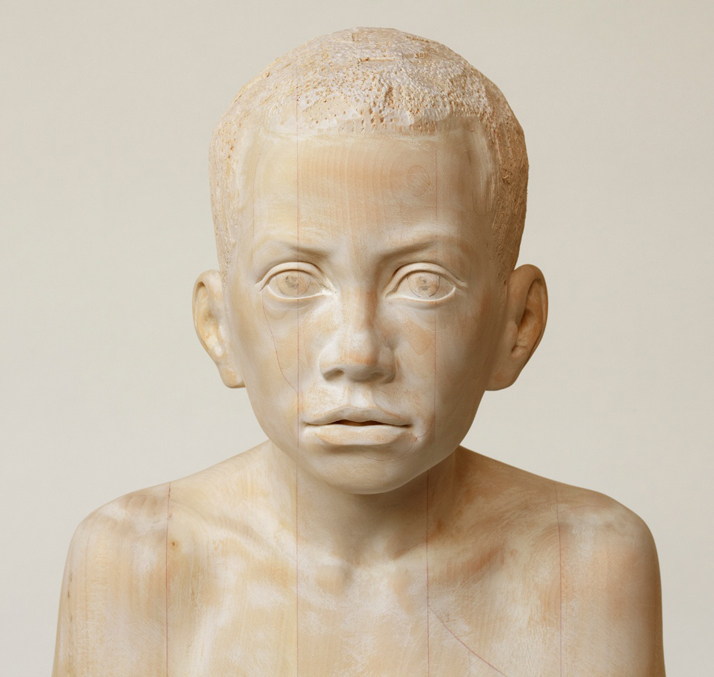 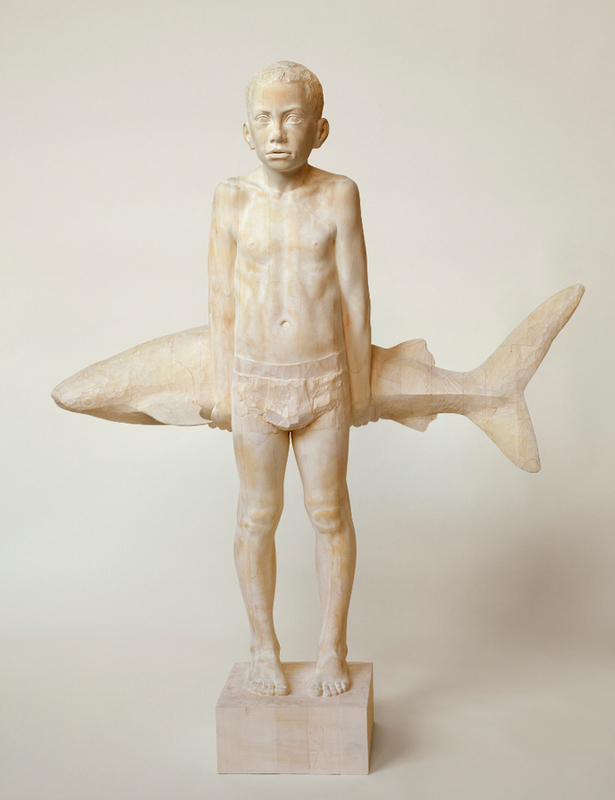 His sculptures, most of them lifesized, are created out of high quality laminated wood. 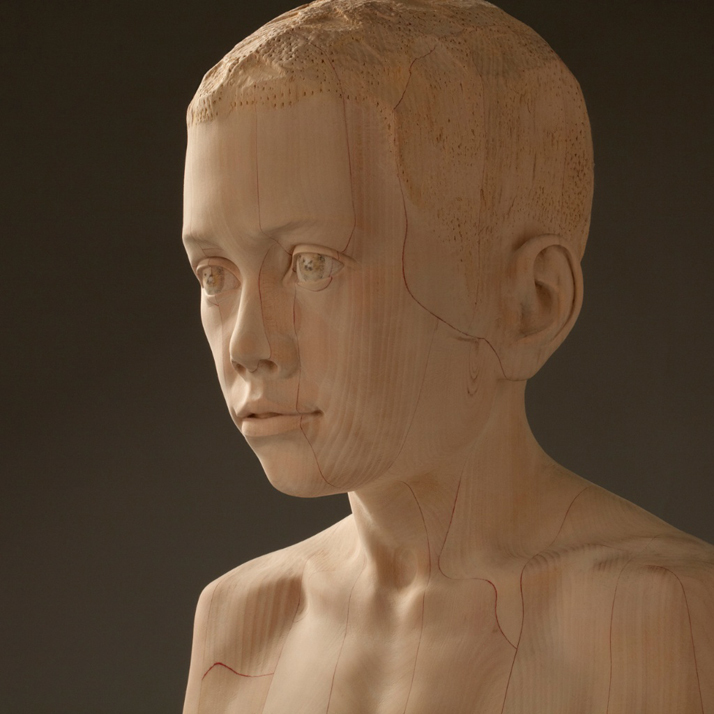 After a process of destruction and then construction the wood has reached a new form of stability, which wouldn’t have been possible in its natural condition. 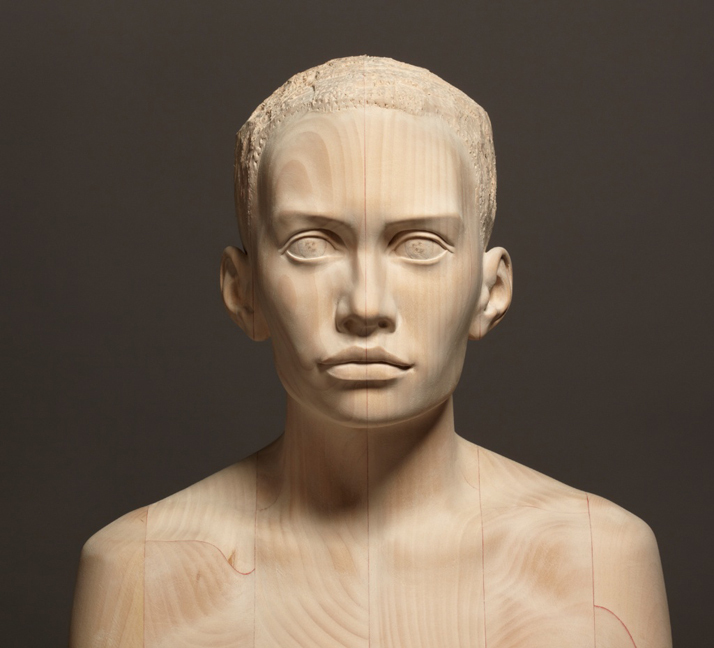 This process is made visible by the joints of glue in the laminated wood. 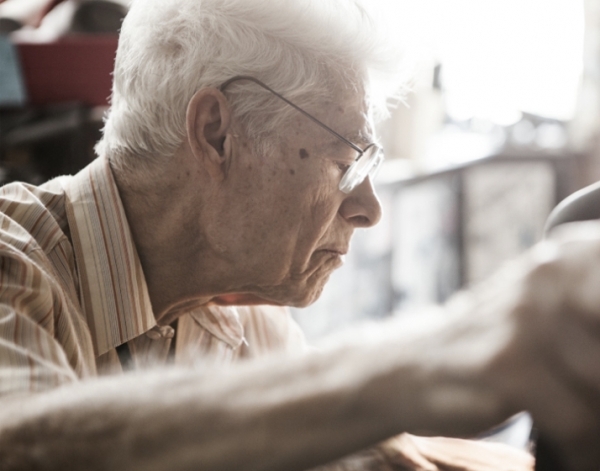 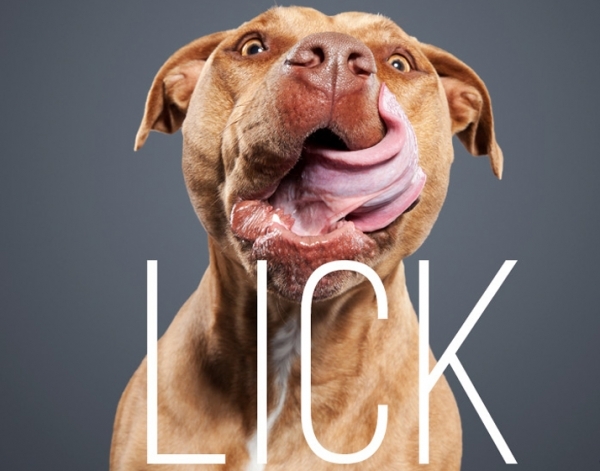 Mario Dilitz chooses red glue thereby signing his creations unmistakably.